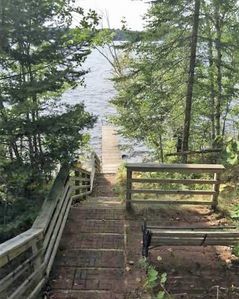 Enjoy some quiet time and relaxation in the Nicolet National Forest and on beautiful, quiet Little Long Lake in Northern Wisconsin. 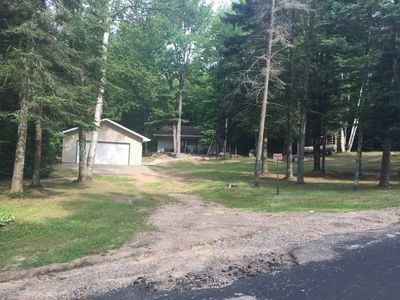 The house is situated on a private road with access to private Little Long Lake across the street. Has a fire pit, picnic tables and plenty of seating around the fire. 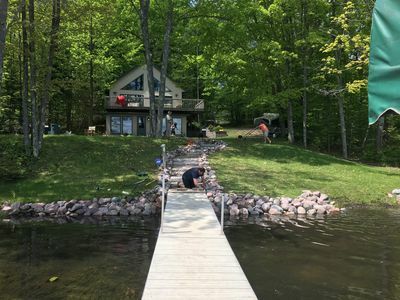 Kayak, fish, hike, berry pick, ATV (you provide) and swim in the summer. Cross country ski, ice skate, and snowmobile (you provide) in the winter. Enjoy the scenery year round with trees surrounding you. You have 12 acres of land to explore! The family room has a large window looking into the forest, beautiful in all seasons, with plenty of seating, tv and dvd/blu ray player in case of a rainy day or a cold night! There are games and books as well. 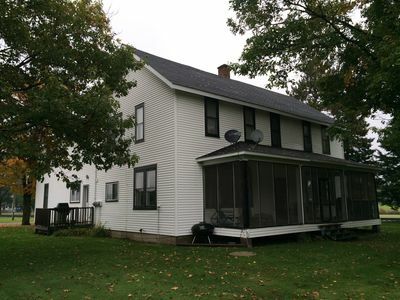 Family room has queen pull out couch, 2 pull out twin beds and 2 recliners, lots of pillows, and cozy blankets. Kitchen equipped with a fridge, stove, microwave, coffee pot, dishes, silverware, pots, pans, large bowls, toaster, crock pot. Dish soap, towels and rags are provided. All you need to bring is your food! There is plenty of seating in the kitchen, there is a large table (6)and a bar with seating (4). 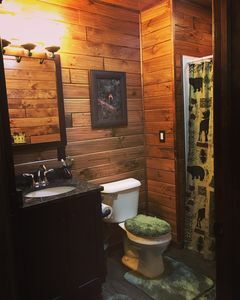 On the main floor also has a full bath with a washer and dryer. Laundry soap is provided. We provide plenty of towels. Body wash, shampoo, conditioner and hair dryer available. Upstairs is a loft with 2 full beds, one twin bed and a futon. 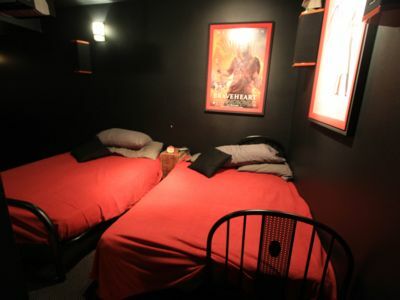 In the separate bedroom, there is a queen bed, and a bunk bed with a futon and a twin bed on top. The bedroom has a small deck off of it where you can go out and enjoy the view, stargaze or sit and enjoy morning coffee. 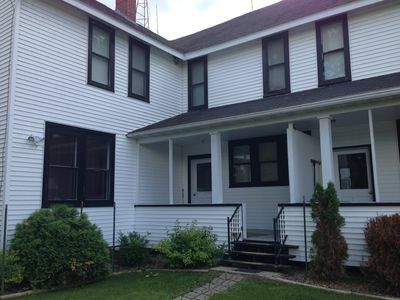 There is a window unit air conditioner on the top floor that keeps the house cool. 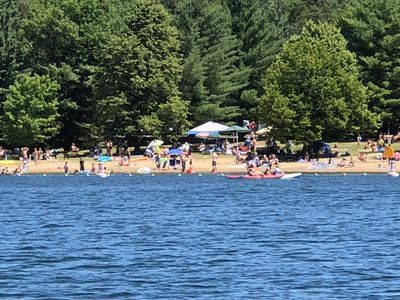 Little Long Lake is a private lake, there is no public boat launch. This keeps the lake quiet. 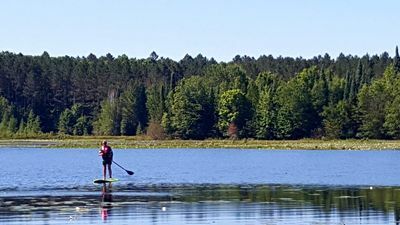 The side of the lake where the property is has a no wake rule. Perfect for fishing, kayaking and swimming. 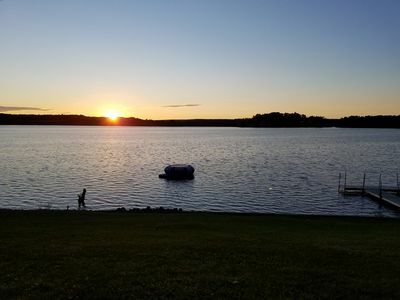 We have a dock that is great to fish from, a 16-foot row boat with electric trolling motor available for use, kayaks available for use (2 doubles and 2 singles), and a floating trampoline that is super fun for the kids! The other side of the lake is for speed boating from 10-5 only, so it is quiet most of the day and into the evening. The walk from the house to the lake takes 3-4 minutes on the private road. You can also drive from the house to the lake if you’d like. 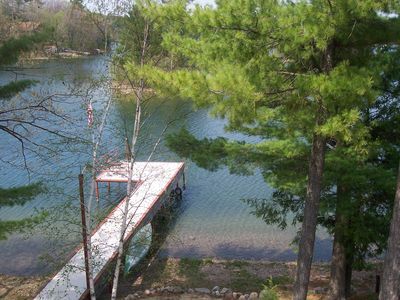 Bring your fishing poles to catch fish from the dock, boat, or the kayaks. We have various life jacket sizes available (even children), just let us know what you need and we can let you know if we have it! Hiking, snowmobiling, ATV trails are all around. 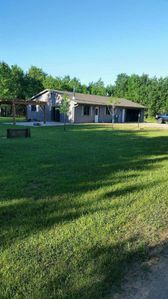 Nicolet National Forest backs up to the property so you have unlimited areas to explore! Restaurants, grocery stores, bars and gas stations are all within 20 minutes. There is also the Potawatomi Carter Casino or Mole Lake Casino within 20 minutes. Laona Steam Train is within 40 minutes as well. Please no smoking and no pets. Thank you! 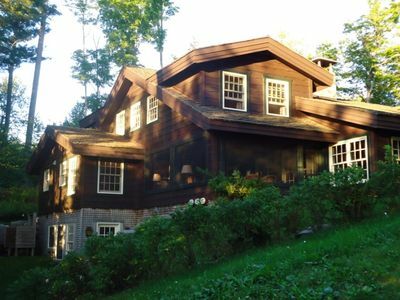 Beautiful 3BR, 2 1/2 Bath, Chalet style home with wall of windows! 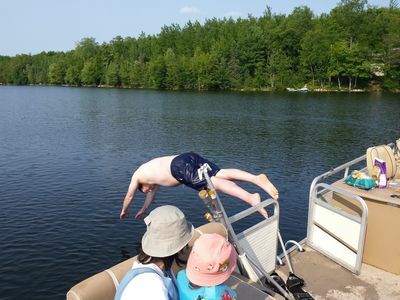 Lake House - Sleeps 12, Includes 24' Pontoon, Great For Families! 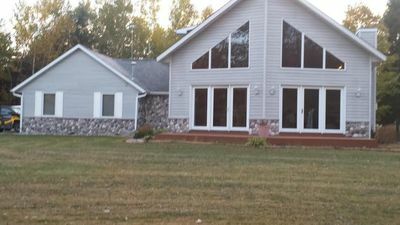 Waterfront, Peace and Quiet On a Dead End Road On Full Rec Lake, Pontoon Avail. 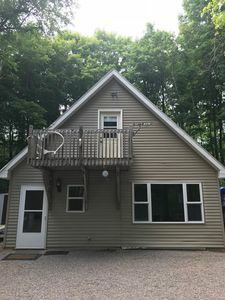 Nicolet State Trail Upscale Retreat - No Cleaning Fee! 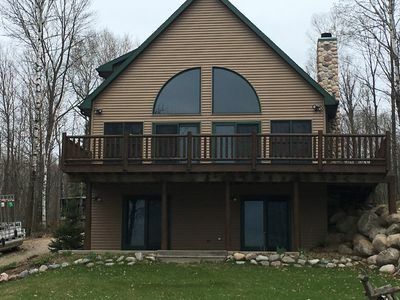 Cute Cottage on highly sought after BASS LAKE!!! !